AVALON — Almost exactly a year ago to this issue’s date, The Log reported construction had finally broke on the Vons project. A lot has happened this past year in waterfront developments and infrastructure, but it appears as though the Vons supermarket stayed on track and finished construction in December 2018 as planned. Now there are just the final details of solidifying a grand opening date. No official date has been given from Avalon’s contacts, but an unofficial opening date has been set for Jan. 9, 2019, according to planning director Amanda Cook. Construction project manager Tony Smith, who is Cook’s contact, was copied into the email, but did not respond by press time. Any information provided will be updated online. 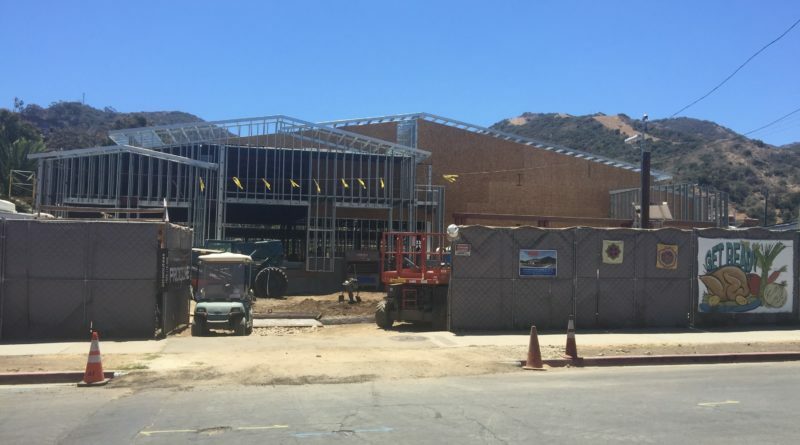 The construction for the Vons has already been completed and training is taking place. Stocking groceries has also begun. In December 2017, Cook told The Log construction would be completed within the year. The Vons market, which is located on Sumner Avenue, has been a controversial project with local residents, but will be the first full-service marketplace on the island. Vons had previously operated two smaller markets in Avalon, separated by a few blocks. Why not a picture of the finished store? It’s “Sumner” not Summer Ave. There were two previous Von’s locations in Avalon, although the other was/is a Von’s Express on Catalina Ave. Love the Log, keep up the good work.